In the same way that Halloween has become a month-long celebration rather than one day, Christmas is a season of giving and revelry. Whether it’s work friends, old friends, and immediate or extended family, no doubt you’ll have plenty of events to attend and people to buy for. If you have children or young family members, it can increase the pressure. It may “only” be October, but if you haven’t already begun, it’s time to plan and start shopping. But how can you ease the financial strain of all this spending? 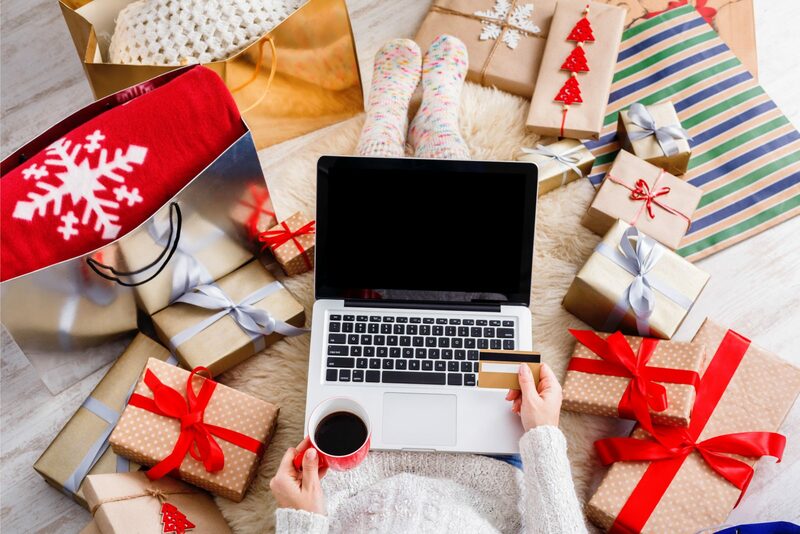 Here are the retailer payment plans which can help you to spread the cost of Christmas 2018. From toys to technology, you can shop for all ages without breaking the bank. Online retailer Very is popular year-round for its flexible payment options. These aren’t just available for Christmas, meaning that you can purchase products as presents as far in advance as you like. Even if you leave your ordering until December, you can utilize the various payment plans. Generally, once we pass the 100-days-until-Christmas mark, retailers will launch a Christmas gift section. Very is no different. Now is the perfect time to browse their Christmas collection and control how you pay. Buy your decorations, toys and games, beauty kits, food and drink treats, sportswear, kitsch gifts, and designer or personalized items from here all at once and get it out of the way. You can breathe a sigh of relief when your order arrives. Once you wrap everything, you can put the worry aside and be ready when the actual day comes. In the meantime, all you have to worry about is keeping track of your payment plan. You will select this at the time of purchase if you decide not to pay upfront. Split the cost with Take 3 and just make three monthly payments. Or defer the payment for up to an entire year with Buy Now Pay Later. With options like these, you won’t have to pay any interest as long as you make the repayments on time. The Very Account also allows you to make a minimum payment each month and take as long as you like to pay off the remaining balance. Everyone remembers circling what they want for Christmas in the Argos catalogue as a child. Technology changes things, but Argos is still a great choice for Christmas shopping with their online catalogue. Especially because the Argos Card offers lots of credit options, which shoppers may not know about. The Argos Card enables you to buy anything and pay later. This is ideal for doing a big Christmas shop. Argos is a great place to get toys, technology, jewellery, accessories, and home furnishings at lower prices. So you can pick up something for everyone and put off paying until a better time. However, do not let the variety of products blind you to the Argos Card small print. Like any credit card, the Argos Card charges interest. 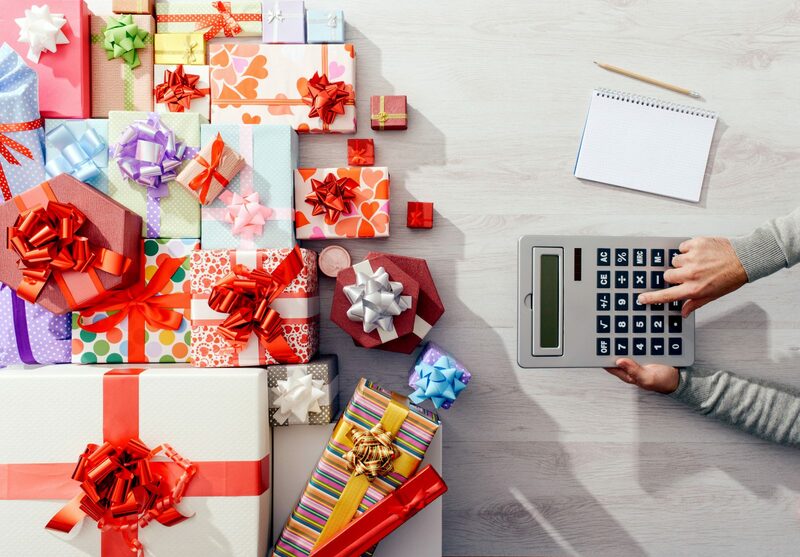 With a representative APR of 29.9%, essentially a third of the price added on top, you risk straining your finances even more instead of easing the cost of Christmas. Make sure you avoid this by making repayments in time. Always check the important dates and minimum repayment amounts on your Argos Card statements and account. When you shop, you can choose from particular credit deals. These include 12-month contracts to pay for Apple computers, televisions, mobiles, white goods, furniture and more, with minimum spend requirements. If you opt for one of these, ensure that you stay within their terms to avoid interest. Anyone who does the Christmas shop for the family will have heard of Studio. It is similar to Argos, with catalogues and an online shop, except Argos has physical stores as well. Studio is also similar to Very in that it offers finance options to make it easier for customers to pay. They also have an entire section dedicated to Christmas. Buy trees, decorations, lights, crackers, gift wrap and cards as well as actual gifts. You can buy partywear, Christmas jumpers, novelty items, stocking fillers, sweets and alcohol, and even tableware for the big day. Add to that your haul of gifts from electricals, health and beauty, toys and personalized items, and it adds up. But you can still get it all at once! When you do a big bulk Christmas shop from Studio, look for the Buy Now, Pay Later option at the checkout stage. If available, it will offer you a plan for 6, 9, or 12 months, depending on your order value. Studio will not ask you to make a minimum payment against the balance until the plan term expires. At that point, they will charge backdated interest. This can add up to a lot, so pay off the plan in good time to avoid the extra charges.You can choose to pay off an instalment of however much you want, whenever you want to. So you can enjoy your Christmas and just pay off a little bit at a time until you cover it all before the expiry date. Pay any other balances to keep the plan running. Park is a well-known Christmas saver plan. The difference is that it is a payment plan specifically for Christmas. Customers will usually sign up as early in the year as possible and set a personal target. They will then make a payment of this amount every week or month. This enables people to save a manageable amount throughout the year and put it away for Christmas well in advance. The further ahead you start, the lower and more manageable your payments will be. You can then choose to convert your money into gift cards and vouchers, or order actual gifts and hampers from Park. Use the vouchers for Christmas shopping or as presents for the recipients to spend. Since Park’s payment plans rely on customers paying throughout the year, it is no longer possible to use them for Christmas 2018. The final date for orders was 1st September, with all payments needing to be up-to-date by 5th October. Final payments must be made by 1st November. Obviously, this doesn’t help much for Christmas 2018. 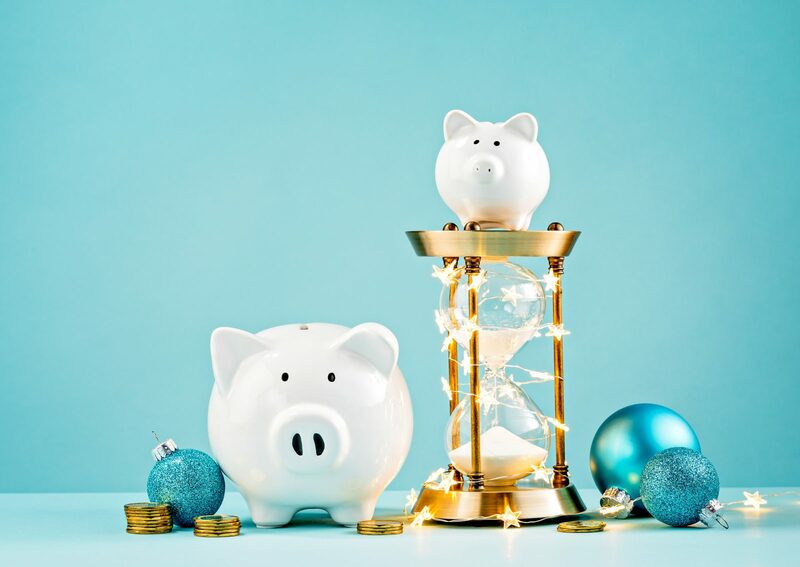 But if you want to avoid money worries this time next year, you can already start browsing the 2019 catalogue and applying for a payment plan for Christmas 2019. You can use any of the other examples in this guide to take care of Christmas 2018. Then get Christmas 2019 under control immediately, as well, by spreading the cost in advance. In the age of technology, you might want to buy presents that encourage children to go outside and be more active instead. Halfords is a classic for kids’ bikes and scooters. They also offer skateboards, go-karts, and ride-on mini cars and bikes – even electrical ride-ons. You can shop for all the accessories and safety equipment which go with them, too. Not to mention outdoor toys and games.You can also shop for gifts for adults, if you have a keen cyclist, motorist, mechanic, or camper in your life. However, the best deals are usually for kids’ bikes. At the moment there is 20% off, plus £10 off accessories if you collect the bike within 7 days. Or you can pay a £10 deposit and leave it instore to collect and pay closer to Christmas. This is better for kids’ bikes so you don’t have to find a hiding place. In addition to this, Halfords offers Flexible Finance. You have to spend a minimum of £250 for this, and it comes with a minimum of 10% interest. The best deal is to spend £399 and get 12 months to pay it back with 0% interest. If you spend this minimum amount, you will only have monthly repayments of £33.25, and you won’t end up paying extra in the end. You can do the same for purchase totals of £800, £1,200, and £2,000. If you’d prefer to spread the cost for longer than a year, you can opt for 24, 36, or 48 months instead. But be aware that this comes with interest. Department stores like John Lewis have their own finance options, of course. John Lewis offers its own credit card, the Partnership Card. It has a representative APR of 18.9% (based on an example credit limit of £1,200). Of course, you can use this credit to shop anywhere, not just John Lewis. If you are looking for interest-free credit, John Lewis does offer this for selected purchases.Unfortunately, the interest-free credit options aren’t going to help you shop in the regular gift departments. No leisure, beauty, or technology payment plans are currently available at John Lewis. However, if someone in your family is getting a new kitchen, you can help them with new electrical appliances. Pay a 10% deposit on an eligible cooker or fridge freezer and you can pay off the rest over 12 months with 0% interest. Kitchen appliances might seem like a hefty or expensive present. Despite this, furniture can actually be a practical and helpful gift. Help a friend or family member to create their ideal living space with indoor or outdoor furnishings, including nursery products. Until 6th November 2018, the minimum spend to apply for 0% interest repayment plan of one year is £500. After this, it goes up to £1,000. The offer also applies to lighting until 18th November 2018. Of course, this is still a lot of money to be spending on somebody else. But you can absolutely utilize these payment plans to spruce up your own home as a present to yourself, or to get a nursery ready if a baby will be arriving soon.